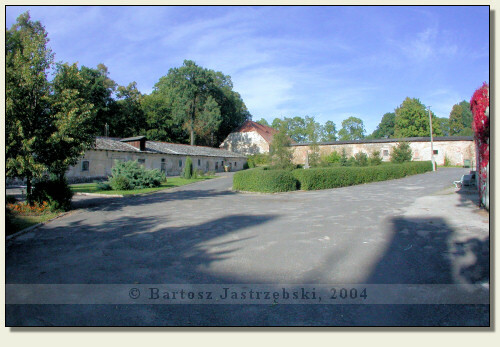 Driving down the road no 30 from Jelenia Góra for Zgorzelec you cross Biedrzychowice. 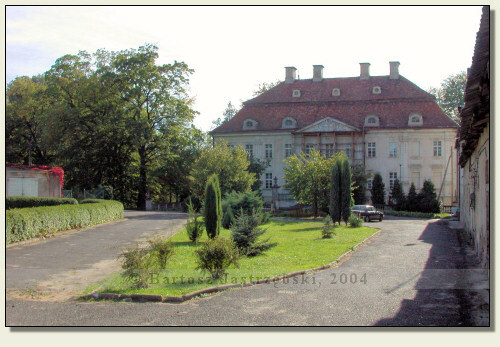 In the place you have to drive down a main road all the time, pass the turn to the left for Leśna and after around 400m on the right side there is a large, green board – "Zespół Szkół Ponadgimnazjalnych". There stands a palace. 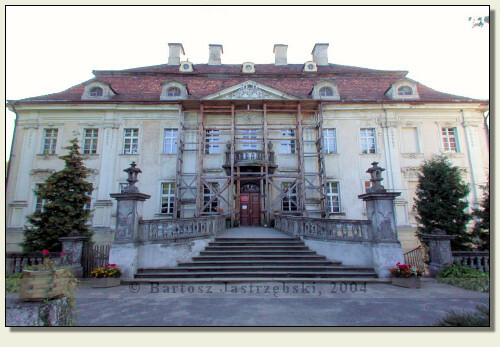 The structure in Biedrzychowice was built in 1527 by Hans von Nostitz as the manor, and then in 1702 the family of Schweinitz converted it into a baroque palace. The building was changing its hands multiple times. One of them was an art lover, a count Aleksander von Minutoli. He was allegedly to store his valuable collections in the tower standing next to the palace in bygone days. 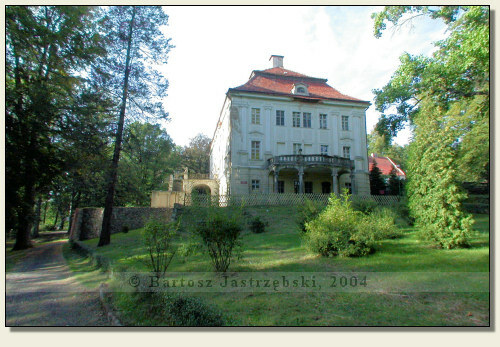 Apart from a palace his property was a nearby Rajsko Castle as well. They say that the palace, castle and tower were linked through an underground corridor, however there is no evidence for that. After the World War II the palace housed the PGR (State Agricultural Farm), while since 1960 it serves the function of a school.